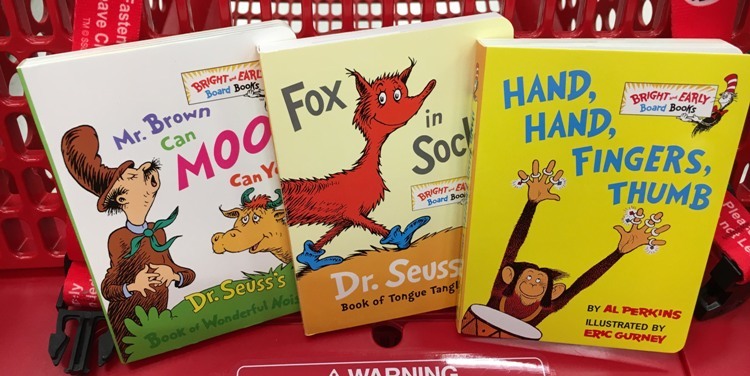 In honor of Dr Seuss’s birthday Target is hosting a FREE Dr. Seuss read-along event on Saturday, March 3rd, from 10-1 pm. Kids can enjoy story time and they’ll get to take home a fun activity book and a poster with stickers. You can use the kids event store locator to see if your store is participating. While you are there, don’t forget to check out the big variety of Dr. Seuss books, many are on sale this week including the board books for only $3.50. Plus, books make great Easter basket fillers!